St. Peter’s Church has a particularly light and airy quality to it, especially when seen in the early morning light. With a crisp hue of blue the building itself seems to reflect particles of light from it and this I found particularly endearing and appealing to my artistic sensibilities. Hence this painting was born and not a moment too soon! 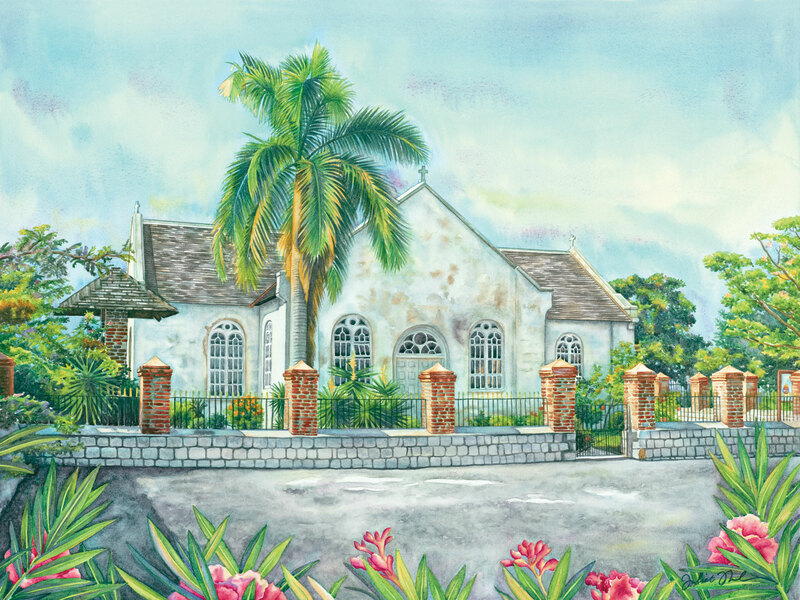 This church is one of the treasures found in Port Royal, Jamaica and is something to be seen. This is a limited edition of 50 giclée prints on watercolor paper. The original painting has not been sold.